NOVI — Disco is making a comeback to the Metro Detroit area. At least that’s what Vladimir Mirkovich, owner of Staying’ Alive, 44325 W. Twelve Mile, Unit H-160, is hoping for. The club, which opened in November, is a celebration of everything from the 70s, 80s and 90s. Sitting atop the Lucky Strike bowling alley within the Twelve Mile Crossing, the club overlooks the Fountain Walk. “There was a need for this type of venue on the west side,” Mirkovich said. “ It came from my desire to created something that would bring crowds from 25 to 45 years-old. 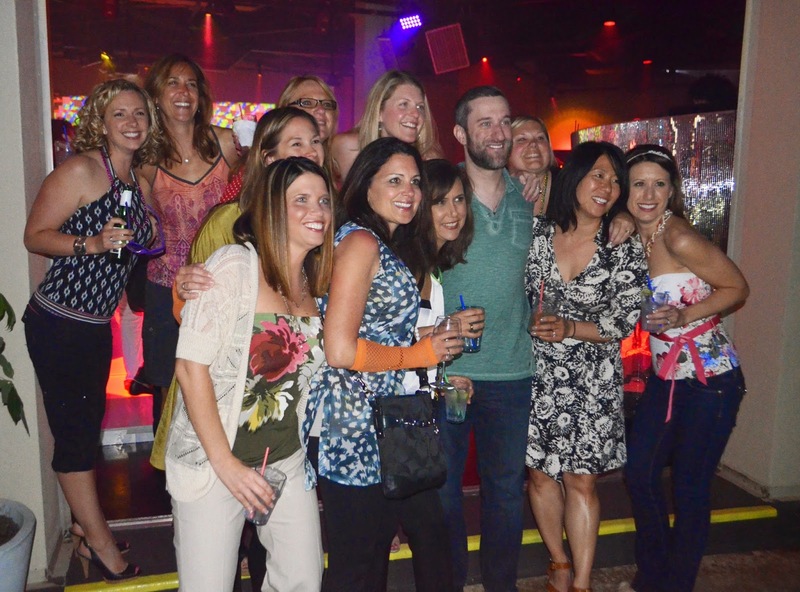 SLIDESHOW: Photos from Dustin Diamond's visit to Stayin' Alive. The club has a custom dance floor filled with LED-lights that are controlled by a computer to play along with the beats whatever song is playing at the moment. Saturday night the club expanded when a 4,000-square-foot outdoor patio opened for the summer months. Former “Saved By The Bell” star Dustin Diamond, known affectionately on the 90s television show as “Screech”, was the guest of honor for the patio opening. “Stayin’ Alive is probably the coolest club that I have had the chance to be a part of,” Diamond said. “I was born in the 70s, but I didn’t get a chance to be a part of the 70s. Diamond — who spent 12 years as “Screech” on four different television series and in two made-for-TV movies — was 23 years old when the shows ended. After the shows, Diamond released an adult video, titled, “Screeched”, where he says he hired a stunt actor, but used his face. In 2009, he released a book of behind-the-scenes stories of his years on the show, called, “Behind The Bell”, and has since appeared as a guest actor on several shows and movies. He is currently working on a Reality-TV show called “The Reel Deal”, in which celebrities are paired with up-and-coming-actors and others to make short film from scratch in four days, according to IMDb.com. Stayin’ Alive is one of Oakland County’s largest outdoor spaces of its kind, said event organizers. The new patio has a 50-foot full-service outdoor bar, hi-top tables and sofas with umbrellas. It also boasts sound and lighting for outdoor dancing. *Editor's note. This was written April 20 for the Press & Guide Newspaper, and never placed online do to an oversight. Date references use that as a focal point. There is “more than meets the eye” when it comes to the newest “Transformers” comic from IDW publishing. The book, first in a four-issue miniseries called “Transformers Windblade,” is helping introduce the titular character into the canon that includes HASBRO toys, comics TV shows and movies. For local fans, though, there is more than just fandom or nostalgia to draw them to the book. 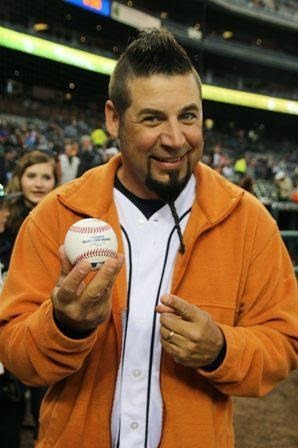 Writer Mairghread Scott is a Dearborn native. “Windblade” was created in a recent fan vote to celebrate the 30th anniversary of the toy line. In 2011, Scott co-wrote the miniseries “Transformers Prime: Rage of the Dinobots,” with Mike Johnson. 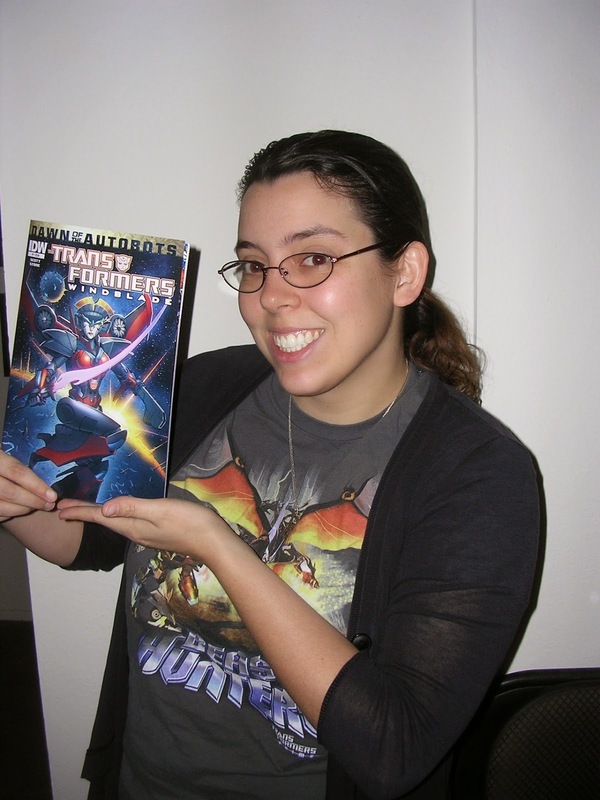 She followed that up with another miniseries, “Transformers Prime: Beast Hunters,” which she wrote on her own. Both miniseries tied into the “Transformers Prime” TV series she wrote for before it went off the air. Scott made “Transformers” history Wednesday when “Windblade” was released, becoming the first woman to pen a book in the main line of the “Transformers” universe. In the latest miniseries, she writes the story and dialogue, with artist Sarah Stone doing the pencils, ink and coloring — making them the first female team to work on a book in the main continuity of the “Transformers” line. Stone is the first woman to ever draw a book in the line, making them both pioneers in their own right. “There’s definitely a certain amount of pressure that comes with that,” Scott said. “She’s a character made by the fans, and you really want to do right by the fans. Sarah’s art is amazing, which helps to make it not a paralyzing anxiety. It’s not just the creative team that is blazing new ground in the universe, though. 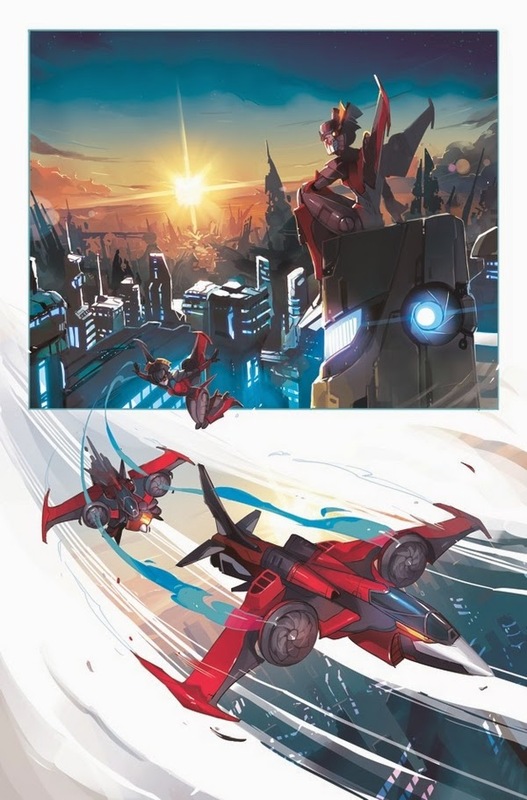 The character, Windblade, also is unique. Windblade is only the second female character in the universe; the other is Arcee. Before Arcee’s introduction, the robots had no official gender, but were perceived by most readers as male. Scott credits Russ Gibb and the video program he ran at Dearborn High School for her success in comics and TV today. Her career lies mostly in TV these days, but she’s open to more comic work as opportunities present themselves. training to write comic books,” Scott said. “I love comics. I would never say no to a comic. Writing for TV is completely different from writing for comics with still images, though. Scott grew up watching comic book characters in a bevy of animated series based on the comics, but didn’t actually start reading the books until high school when she wandered into Green Brain Comics. Merritt said he is very happy to see a local person being successful in the industry. “It’s another great talented name on the long list of quality creators that have come from Michigan,” he said. “I like that it brings up the profile of these local creators. Scott credits Merritt and his wife, Katie Merritt, with fostering her love of comics. These days Scott is finishing the final issue of the miniseries and working on the newest animated series in the “Transformers” line, which doesn’t have an official name yet. 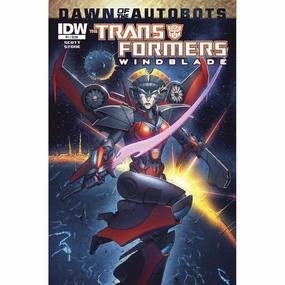 Book one in the “Windblade” series went on sale Wednesday. The remaining three will be sold monthly.